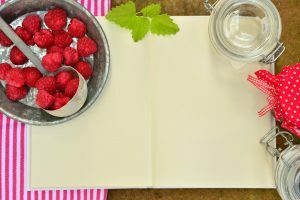 Food Dehydrator vs Oven: Which One Works Better In Drying Food? 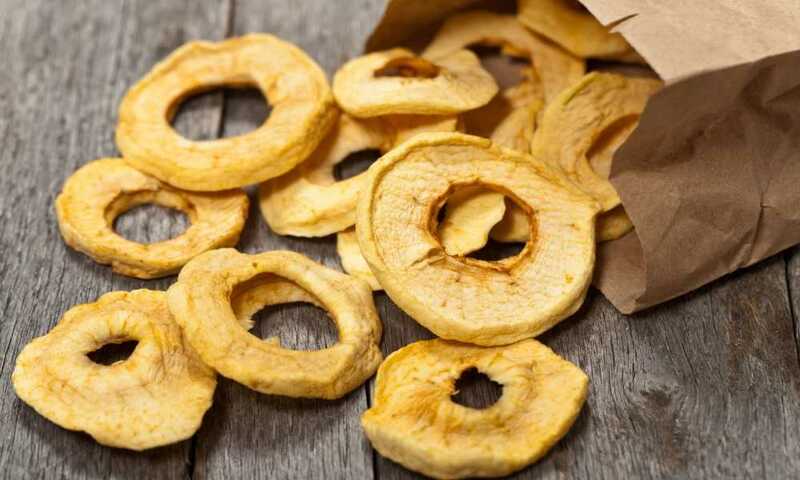 The process of dehydrating food can be done in a number of ways. As long as a reliable heat source is present, moisture can be drawn and removed from the food. Among the most common methods this is done is through utilizing the sun’s heat or the use of a food dehydrator or oven. 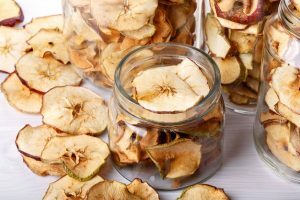 For those wanting to know the pros and cons of using a food dehydrator vs oven, this article is for you. 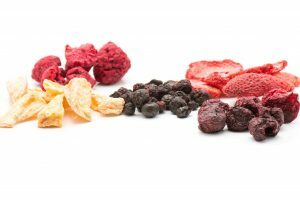 Dried food offers a long list of benefits that most of us here wish to enjoy. They are a delicious, healthy, and convenient snack. Aside from that, it also very easy and fun to make. This remarkable process has been around for thousands of years, across all cultures. The first-ever method of drying food was done using the heat of the sun. In modern times, however, equipment such as food dehydrators and ovens are more preferred by some for its convenience. These appliances make it possible to dry different kinds of food even during the rainy season. 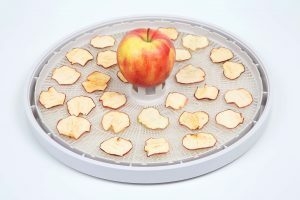 A food dehydrator is a piece of equipment that is specially designed to perform one thing only—to remove moisture from food effectively and efficiently. It made up of a heat source, a fan, and a set of trays to place the food on. Food dehydrators have a rather simple process. The heat source emits a temperature high enough to draw moisture out from the food. The water particles are then pushed out through the vents by the fan, which is usually mounted on top, at the bottom, or the rear of the unit. Several food trays are either stacked on top of each other or positioned much like shelves. Similar to a food dehydrator, an oven is also an appliance that can be found in the kitchen. It is used in a number of ways including baking, roasting, steaming, heating, and cooking food. However, not many of us know that it can also be to dry food as long as it maintains a stable temperature level of not more than 116 degrees Fahrenheit. Ovens pretty much have the all the needed components in order to perform food dehydration. It has a heating element, a fan, and a plate where you can place the food you wish to preserve. However, not all ovens have the option to operate at a temperature as low as the recommended setting for food drying. As was mentioned above, a food dehydrator is intelligently designed to effectively draw out moisture from food and aid in its proper and prolonged preservation. It runs on temperature settings that are just right to dehydrate the food without killing the enzymes. Most food dehydrators come with timers to allow for minimal supervision while the food drying is on-going. It is also more energy efficient when compared to using conventional ovens. In addition, the airflow inside also plays a big role in making sure that the heat is distributed evenly through each of the food trays. 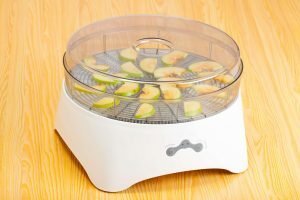 When drying food, there are many who refuse to invest in a food dehydrator and just use the conventional oven that they already have in their house. 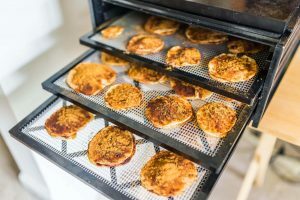 Some made the conscious decision to choose an oven over a food dehydrator because it can do so much more than just dry food. However, you also have to check out a couple of things to make sure if your oven can do a food dehydrator’s job. It has to have a temperature setting that is lower than 116 degrees Fahrenheit so as to keep the food from being cooked. This is very important because any higher than that and vital food enzymes are killed off. Additionally, when using an oven to dehydrate food, you would need to pay extra attention and make sure that the temperature is not too hot that the food gets cooked. Food drying also takes around four to six hours, which would be very expensive when done using a conventional oven. 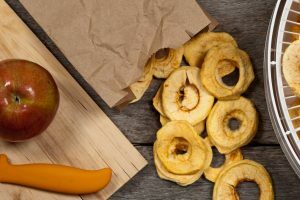 Aside from the reasons mentioned above, we can think of much more whys and wherefores to prove that when asked to choose between food dehydrator vs oven when drying food, we would always put our money on food dehydrators. 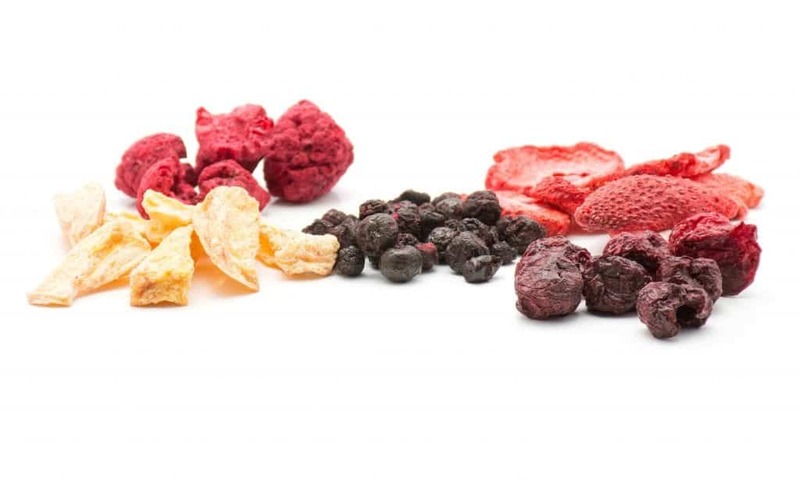 Food dehydrators can be used to dry different kinds of food at the same time. 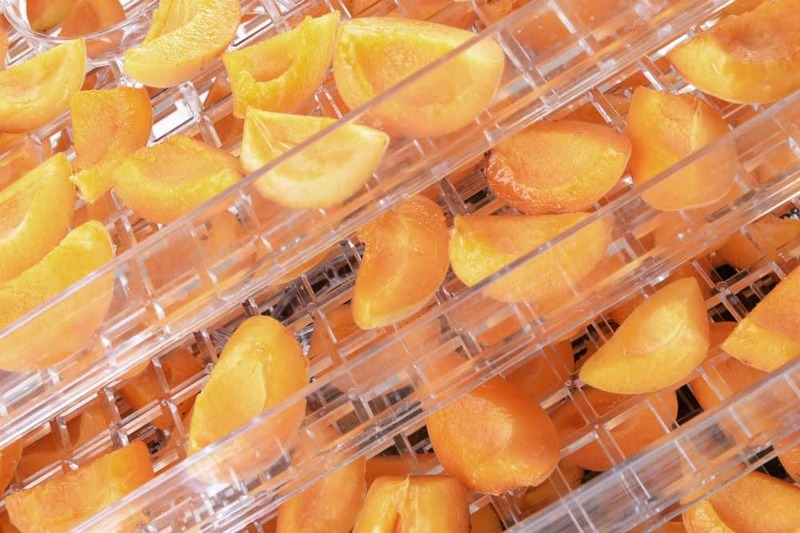 You can use each of its many trays to dehydrate spices, herbs, meat, vegetables, and fruit. 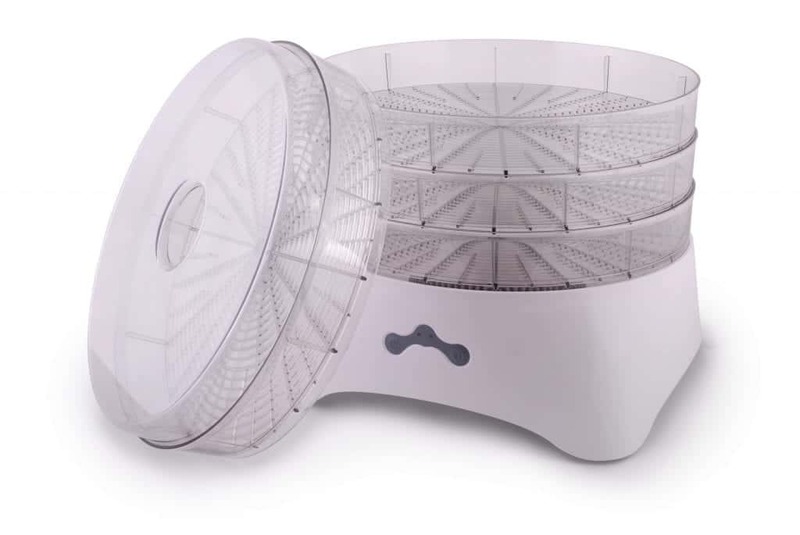 The technology that food dehydrators have would allow you to dry all of these evenly and more efficiently compared to when you try to dehydrate them in an oven. In addition, most food dehydrator models come with around four to 10 food trays while an oven only has one to three. So, when it comes to versatility and capacity, food dehydrators definitely take the cake. Another benefit of using a food dehydrator instead of an oven when drying food is that you get to retain the original flavor of every food because they are on individual trays. On the other hand, when you put different kinds of food such as meat and vegetables together in a single tray, then there is a sure chance that their flavors will get all mixed up. For an effective, efficient, and authentic food dehydration process, it is advisable to use a food dehydrator over any other appliance. It is the only equipment that can guarantee a successful drying of food, with all of its vitamins and nutrients remaining intact. 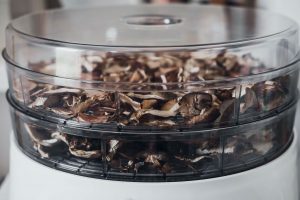 Using a food dehydrator does not require constant supervision, can accommodate different kinds of food simultaneously without getting the flavors mixed up, much more energy-efficient, and has just the right temperature setting and airflow to remove moisture from food without killing off all of its important enzymes. 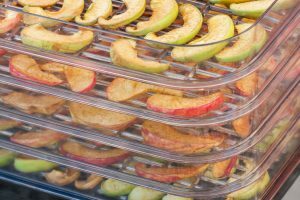 Although food dehydrators can only do one thing, you can rest assured that it gets done in the most effective and accurate way possible.